OZ Minerals has green lighted the development of a $916 million copper mine in South Australia- the second biggest in the state. The Carrapateena copper and gold project is set to generate thousands of new jobs in SA during construction, as well as up to 500 full time positions. Construction on site is set to begin next month and the mine is scheduled to start operation in late 2019. With a 65,000-plus tonnes a year output, Carrapateena is set to become a key contributor to South Australia’s Copper Strategy’s target of producing 1 million tonnes a year of the red metal. “This announcement is yet another vote of confidence in South Australia’s economy. In the past two months alone, we’ve seen significant investments in SA by Liberty House Group, Tesla, Neoen, SkyCity, Solar Reserve, BHP and now OZ Minerals – totalling several billion dollars. 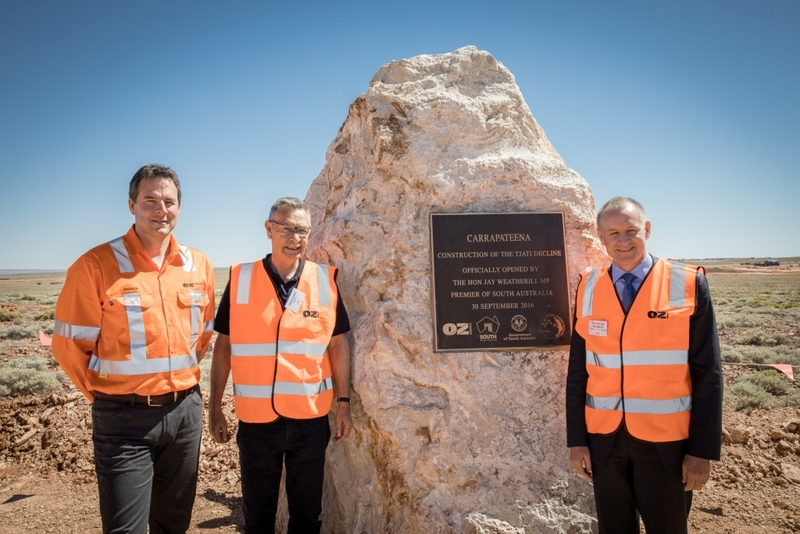 This copper project showcases the importance of the resources sector to the South Australian economy with investment in Carrapateena creating local jobs, infrastructure and opportunities for Aboriginal participation,” said Premier Jay Weatherill in a media release. Mineral Resources and Energy Minister Tom Koutsantonis said that the investment at Carrapateena will support OZ Minerals to develop its other deposits within South Australia’s Copper Belt at Khamsin and Fremantle Doctor. “OZ Minerals’ decision to invest in South Australia highlights the confidence investors have in this State and the business climate we have created through our tax and regulatory reforms,” the Minister said.